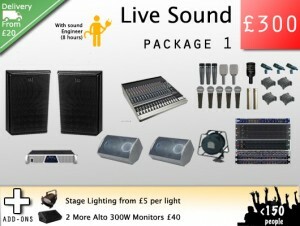 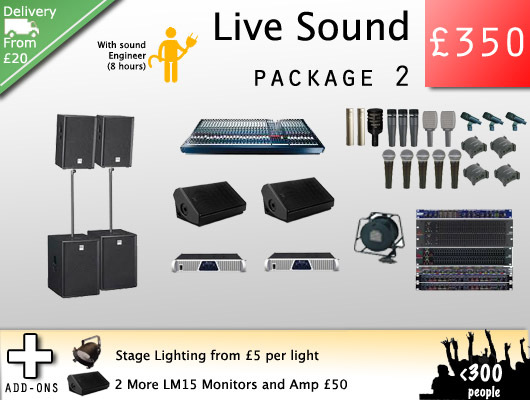 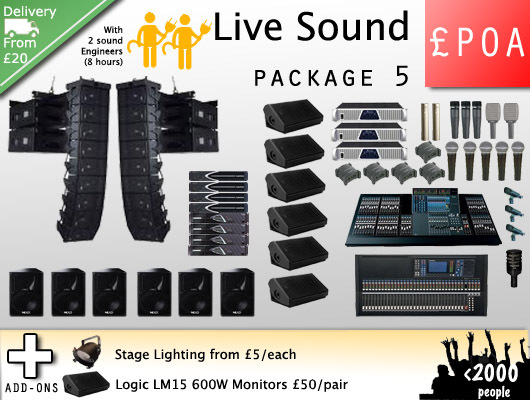 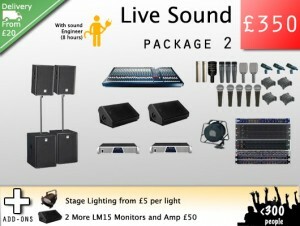 These Live Sound Hire packages are aimed at bands and Live Music. 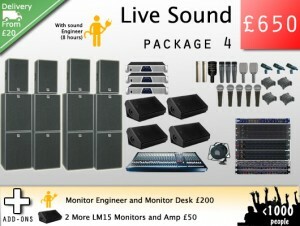 All of the below packages come with a sound engineer. Live Sound Hire is the term used to refer to the equipment and personnel required for bands performing in front of an audience. 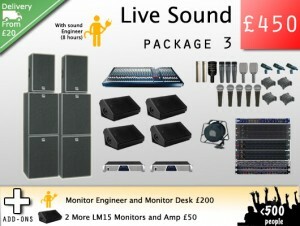 This would include sound system hire and sound engineer. 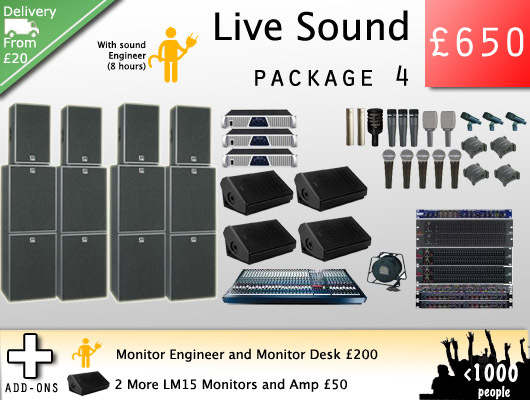 The size type of sound system will vary according to style of music, venue size, audience size, setting and budget. 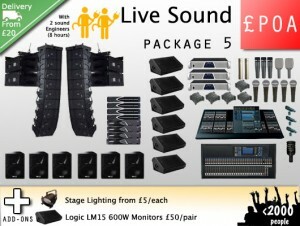 Typically the Live sound hire sound system comprises of a PA System, a Monitor system (for the band to hear themselves), a Mixing desk, microphones, cables and a collection of flight-cased rack gear for specialised puposes such as adding reverb, controlling volume fluctuations and disposing of feedback before it occurs. We stock equipment from leading manufacturers such as Logic Systems, HK, Nexo, Shure, DBX and Soundcraft.